Sarga(Chapter):50: Visit to place of Yagna of Janaka and introduction of Rama and Lakshmana. That great sage with great luster told the distinguished king Janaka , about their visit to sidhasramam, their meeting with Rakshasas there, their undaunted Journey to Vishala and meeting with king of Vishala, the appearance of Ahalya, their meeting with sage Gauthama and lastly about their inquisitiveness to see the great bow as their purpose of visit to this place and stopped. This is the end of the fiftieth chapter Of Balakanda of the holy Ramayana composed by Valmiki as the first epic. Sarga (Chapter)51: Sathananda starts telling the story of sage Viswamithra. Hearing the words spoken by sage Viswamithra , that greatly lustrous Sathananda spoke to Rama. This is the end of the fifty first chapter Of Balakanda of the holy Ramayana composed by Valmiki as the first epic. Sarga(Chapter) 52: Vasishta offers a feast to Viswamithra and his army. Sarga(Chapter)53: Sabala arranges for a great feast and Viswamithra wants Sabala for himself. 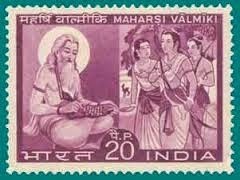 This is the end of the fifty third chapter Of Balakanda of the holy Ramayana composed by Valmiki as the first epic. Sarga(Chapter) 54: Sabala being taken away by Viswamithra , destroys his army. This is the end of the fifty fourth chapter Of Balakanda of the holy Ramayana composed by Valmiki as the first epic. Sarga(Chapter)55: defeat of Viswamithra , his penance and coming for with Vasishta. This is the end of the fifty fifth chapter Of Balakanda of the holy Ramayana composed by Valmiki as the first epic. Sarga(Chapter)56: The defeat of Viswamithra by Vasishta. This is the end of the fifty sixth chapter Of Balakanda of the holy Ramayana composed by Valmiki as the first epic. This is the end of the fifty seventh chapter Of Balakanda of the holy Ramayana composed by Valmiki as the first epic. This is the end of the fifty eighth chapter Of Balakanda of the holy Ramayana composed by Valmiki as the first epic. Sarga(Chapter) 59: Viswamithra invites sons of Viswamithra to the Yagna to send Trishanku to heaven. This is the end of the fifty ninth chapter Of Balakanda of the holy Ramayana composed by Valmiki as the first epic. This is the end of the sixtieth chapter Of Balakanda of the holy Ramayana composed by Valmiki as the first epic. Sarga(Chapter) 61: Further penance of Viswamithra and story of Sunasepha . This is the end of the sixty first chapter Of Balakanda of the holy Ramayana composed by Valmiki as the first epic. This is the end of the Sixty second chapter Of Balakanda of the holy Ramayana composed by Valmiki as the first epic. This is the end of the Sixty third chapter Of Balakanda of the holy Ramayana composed by Valmiki as the first epic. Sarga(Chapter) 64: Rambha tries to entice Viswamithra and he cursed her. This is the end of the Sixty fourth chapter Of Balakanda of the holy Ramayana composed by Valmiki as the first epic. Sarga(Chapter) 65: Brahma and devas recognize Viswamithra as Brahmarishi. This is the end of the Sixty fifth chapter Of Balakanda of the holy Ramayana composed by Valmiki as the first epic. Sarga (Chapter) 66: The story Of Sita as well as Shiva’s bow. This is the end of the Sixty sixth chapter Of Balakanda of the holy Ramayana composed by Valmiki as the first epic. This is the end of the Sixty seventh chapter Of Balakanda of the holy Ramayana composed by Valmiki as the first epic. Sarga(Chapter) 68: The messengers of Janaka reach Ayodhya and Dasaratha starts to Mithila. This is the end of the Sixty eighth chapter Of Balakanda of the holy Ramayana composed by Valmiki as the first epic. King Dasaratha was very happy to see both his sons and spent the time well being honoured by Janaka. This is the end of the Sixty ninth chapter Of Balakanda of the holy Ramayana composed by Valmiki as the first epic. This is the end of the Seventieth chapter Of Balakanda of the holy Ramayana composed by Valmiki as the first epic. Sarga(Chapter)71: Janaka tells about his clan. This is the end of the Seventy first chapter Of Balakanda of the holy Ramayana composed by Valmiki as the first epic. Sarga (Chapter) 72:Offer of daughters of Kusadwaja in marriage To Bharatha and Sathrugna. Then that very famous king Dasaratha took leave and Janaka also went away after those two sages. That great man Dasaratha who was affectionate towards his sons , distributed hundred thousand cows, with their horns covered in gold , with abundant yield of milk, accompanied by their calves as well as bronze vessel for milking and also many valuables to the Brahmins , in the name of his sons. This is the end of the Seventy second chapter Of Balakanda of the holy Ramayana composed by Valmiki as the first epic. Thereafter spending that night with his illustrious sons , king Dasaratha who knew his duties , woke up at dawn , completed his morning rituals , reached the sacrificial place , being preceded by sages. This is the end of the Seventy third chapter Of Balakanda of the holy Ramayana composed by Valmiki as the first epic. This is the end of the Seventy fourth chapter Of Balakanda of the holy Ramayana composed by Valmiki as the first epic. After the king Dasaratha heard those words , he with dejected face full of sorrow , spoke the following. This is the end of the Seventy fifth chapter Of Balakanda of the holy Ramayana composed by Valmiki as the first epic. Lord Parasurama, the son of Jamadagni , praised Rama , went round him and went to his abode. This is the end of the Seventy sixth chapter Of Balakanda of the holy Ramayana composed by Valmiki as the first epic. Sarga(Chapter) 77: Arrival back to Ayodhya. (After departure of Parasurama, all of them continue the journey and arrive back in Ayodhya. They are received with joy by people of Ayodhya. Obeying the orders of their father they looked after the welfare and well being of their citizens . This is the end of the Seventy seventh chapter Of Balakanda of the holy Ramayana composed by Valmiki as the first epic. "from then on the gods along with the assemblages of sages deemed Vishnu to be the paramount". People may very well believe that Vishnu and Shiva are equal. But we do not have the license to put that into Valmiki's mouth. m giving you another translation of the same verse done by a team of experts, "The bow of Siva having been made inert by the prowess of Visnu, hosts of sages and devatas considered Visnu as superior. " Hats Off to You Sir!! Its a stupendous effort and its simply superlative. I thank you for this priceless gem, especially for Palakkad Iyers like me who are in a profession that keeps them far away from our roots and thus losing it. I salute you for this gift!